With their unconditional affection and exuberant vitality, our pets give us precious moments remote from the hustle of everyday life. We are entirely focused on these moments and our special relationship with our wonderful companions - no matter if it is a dog, cat or horse. A gift that we unfortunately far too seldom take advantage of. 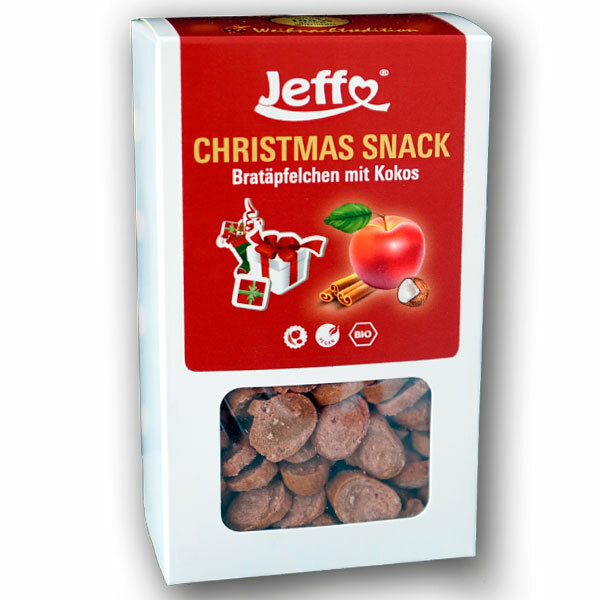 Jeffo's treats are a culinary invitation to enjoy these precious moments in time. 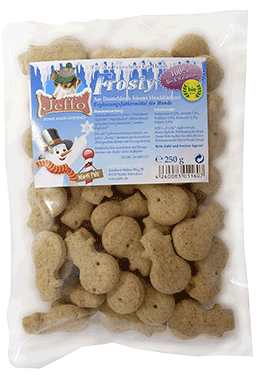 Our dog treats and cast treats intensify the bond between humans and animals - as a tasty treat and healthy snack! 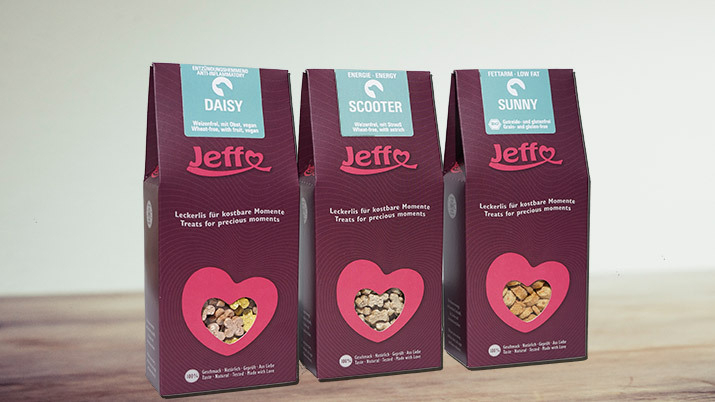 At Jeffo we use only premium ingredients and therefore our products are 100% beneficial. Many are certified organic, and most are purchased regionally. 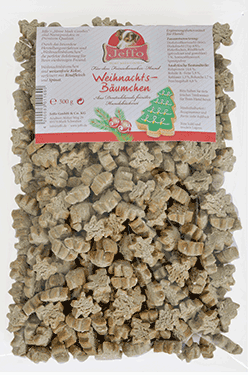 In our factory we bake our treats without salt and sugar, preservatives and attractants. 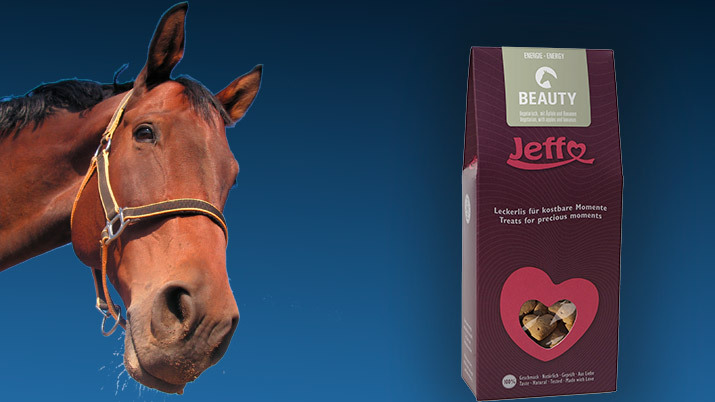 That is why Jeffo's homemade biscuits and cakes smell so enticing. 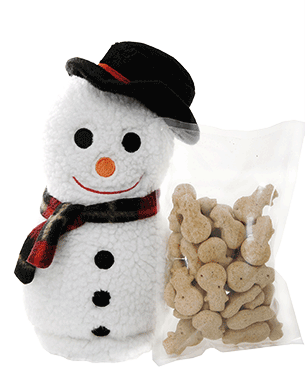 Furthermore, each of our treats has a specially designed shape. 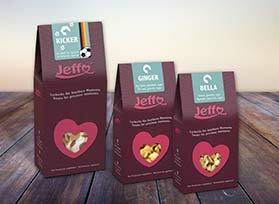 Jeffo celebrated its 10th anniversary in 2014 and we will still continue to offer attractive specials to help commemorate our anniversary. I am constantly developing new dog biscuit recipes, and now also for cats and horses. 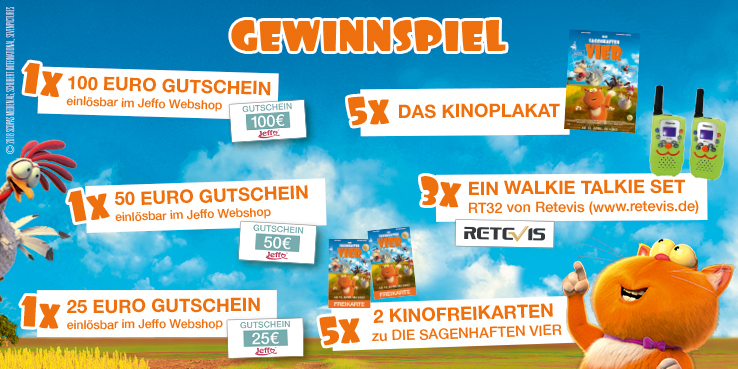 They will be available soon in our webshop! 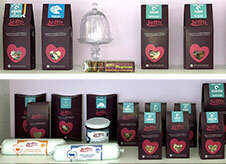 Therefore you should check regularly for our new products for your pet. 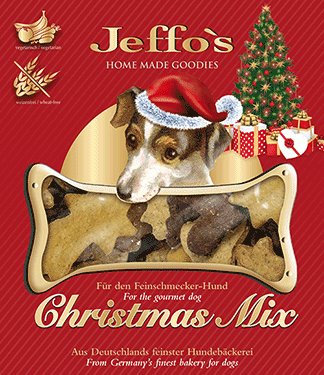 Or learn in one of my books how to bake homemade dog biscuits yourself. 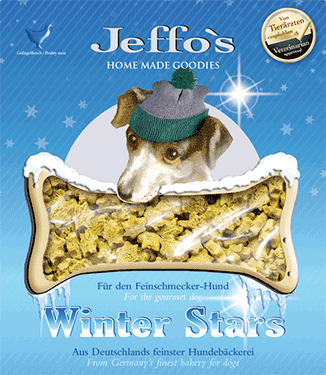 On our website we have summarized all the interesting information about Jeffo's treats. 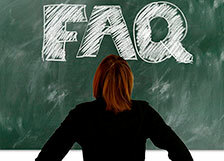 We take the time to answer your questions personally. At the end of this note you will find our current special. I look forward to your suggestions and a partnership full of precious moments.